Featuring an outdoor swimming pool, a fitness centre and a spa and wellness centre, The Golden Tusk is located in Rāmnagar. Free wired internet is available in the business centre. The property offers free parking. The Golden Tusk, Corbett is an agro resort situated on the banks of the monsoon river Dhella. Offering a holistic experience is the breathtaking views of the dense forest and southern periphery of the natural reserve. This boutique establishment with its range of facilities ensures guests stay is rejuvenating and unique. The air-conditioned accommodation will provide you with a flat-screen satellite TV, seating area and a minibar. There is also an electric kettle. Featuring a shower, private bathrooms also come with free toiletries and slippers.At The Golden Tusk you will find a restaurant and a massage parlour, 24-hour front desk and BBQ facilities. Other facilities offered at the property include meeting facilities, a tour desk and luggage storage. An array of activities can be enjoyed on site or in the surroundings, including billiards and table tennis. Positioned at Village Dhela in Ramnagar, the Golden Tusk lies in the proximity of places of attraction like Naveen Mandi Samiti (Approx. 13km) and Bharatpuri Mandir (Approx. 17km). 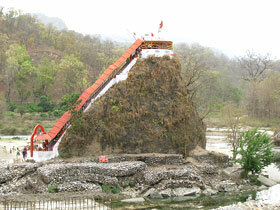 Guests can also visit Ramganga River, Corbett Museum and Garjia Temple. 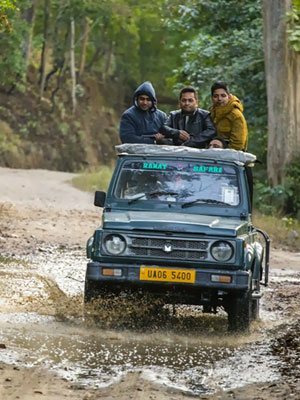 Golden Tusk Resort Corbett manages to all requirements of guests , wheather it is a honeymoon couple, family or corporate , The Golden Tusk resort has imaginatively planned Reception, Conference Hall , Cottages , Restaurant , Swimming Pool, Luxury Tents Etc. The Golden Tusk resort has pulled appreciation for its structural design which is in wonderful synchronization with its atmosphere, and has been cherished for its excellence of cuisine and services. For a fulfilling stay of guests, The Golden Tusk offers an array of recreational facilities including a swimming pool, gymnasium, indoor and outdoor games, library and a discotheque. 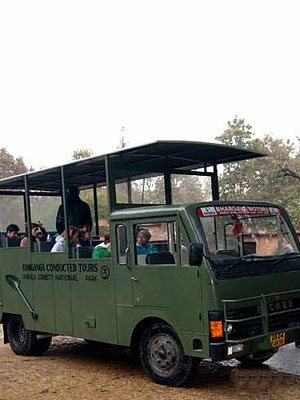 Arrangements can also be made for jungle safari, birdwatching, nature walks, cultural shows, bonfire and other adventure activities. After a tiresome day in the reserve, guests can indulge in some world-class rejuvenation therapies at The Golden Flower Spa on site. The hotel also maintains conference rooms Rendezvous, Quorum, Buzz for business gatherings and social events. Dining: Guests can relish a spread of pre-designed meals at the hotels in-house restaurant. The air-conditioned accommodation will provide you with a flat-screen satellite TV, seating area and a minibar. There is also an electric kettle. Featuring a shower, private bathrooms also come with free toiletries and slippers. At The Golden Tusk you will find a restaurant and a massage parlour, 24-hour front desk and BBQ facilities. Other facilities offered at the property include meeting facilities, a tour desk and luggage storage. An array of activities can be enjoyed on site or in the surroundings, including billiards and table tennis. The in-house restaurant serves Indian, Chinese, Continental, Italian and Thai delights. Guests can enjoy these specialities in the privacy of their rooms with room service. This property is also rated for the best value in Rāmnagar! Guests are getting more for their money when compared to other properties in this city. The hotel maintains 44 spacious and well-appointed rooms, further categorised as Country View Suite, Forest View Suite, Luxury Tent, Villa, Villa Grande and Tiger Suite. Offering panoramic views of the forest, each room at The Golden Tusk features a distinct theme with modern facilities like spacious bedroom and lounge, dressing room, private sit-out, writing desk, satellite TV, mini bar, tea/coffee maker, phone and bathroom supplies. Additionally, the 2-bedroom Tiger Suites come with a Jacuzzi too. Guests are offered luxurious accommodations that are spacious and feature a contemporary setting. The range of basic amenities present in the rooms include writing desk, satellite TV, mini bar, phone in room, internet on request, tea/coffee making facility, butler service and bath toiletries. Overlooking the manicured lawns and plush nature, these rooms are an ideal abode of comfort and style. 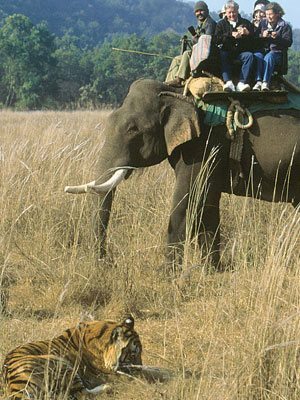 The popular Jim Corbett National Park and Kosi River are 13 km from the property. 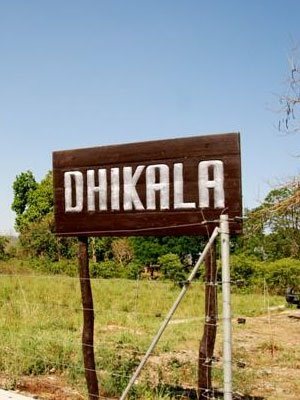 The Dhangadhi Museum is 36 km. The Pantnagar Railway Station and Pantnagar Bus Station are within 14 km. The Pantnagar Aiport is 50 km away. The Golden Tusk, Corbett is an agro resort situated on the banks of the monsoon river Dhella. Offering a holistic experience is the breathtaking views of the dense forest and southern periphery of the natural reserve. The Golden Tusk resort has pulled appreciation for its structural design which is in wonderful synchronization with its atmosphere, and has been cherished for its excellence of cuisine and services.